We’ve had many compliments from our neighbours and passers-by, admiring the quality and authenticity of the replacements, and it was nice throughout the winter months to be able to sit comfortably by the windows without the draughts. A fully functioning brewery until the 1930s, the site sat empty and unused after the brewery closed its doors, until being developed for residential use in 1987. As an area of importance in terms of local history, the existing buildings must retain the character hence the covenants and conservation area status. 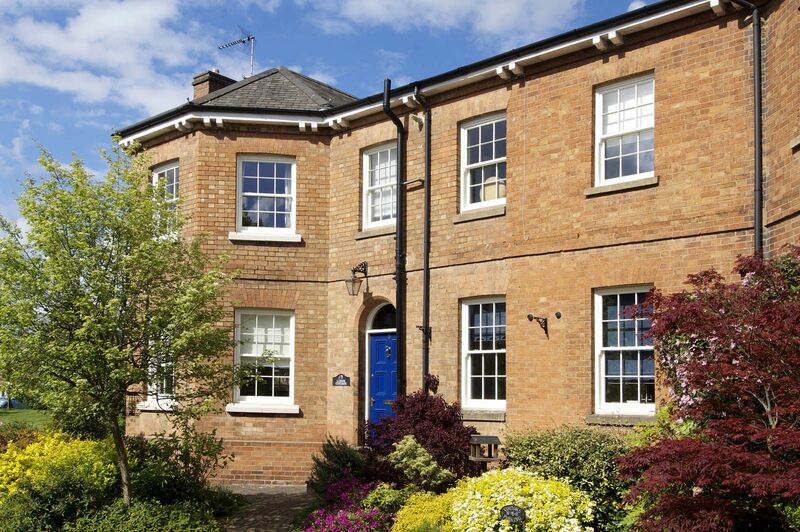 The current owners, Mr & Mrs K have enjoyed the property for a number of years, and having thought of replacing the original, draughty single glazed sash windows some years ago, they failed to find something suitable. This led to the decision to simply not take any action at all rather than get it wrong in an area where the surrounding neighbours have a keen interest in each other’s properties, to ensure they’re kept as intended. 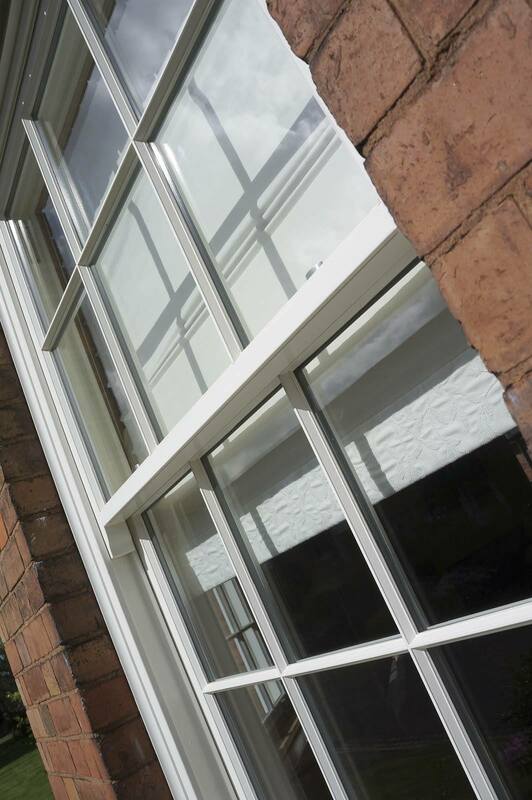 A renewed search was spurred on by the fact that the old windows had dropped in some cases, meaning they were no longer air tight; so some online searching led them to us, “We found the Timber Windows website via a Google search, and impressed with what we saw, we found our local showroom to be Timber Windows of Harborne; a visit to them confirmed our hopes that we’d found the right products” explains Mrs K.
So began the exciting process of choosing and designing the new sash windows, “originally we’d planned to replace the essentials but we decided to go the whole way and make replacements all round, whilst we will return to replace a set of French doors, a back door and fixed arched windows at a later date” Mrs K describes. 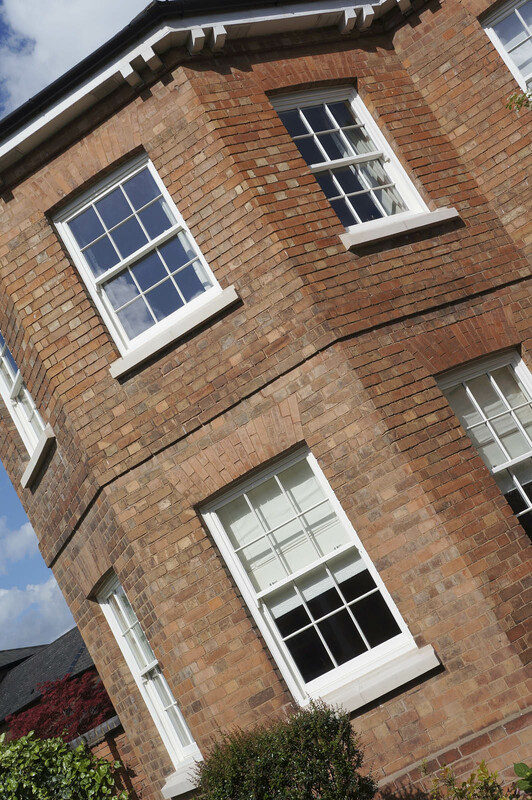 The hidden spring sash window in our range uses a concealed balance system, giving all the appearance and appeal of the cords and weights version but suited to varying types of property and structure, whilst the box sash is perfect for replacing existing, original windows where a full box was built in and a slim box sash can be utilised where the depth of the wall doesn’t permit the full box. Our showroom experts can explain the differences and demonstrate these. The fine details were important, such as being able to authentically replicate the period features, the ability to replace the frosted glass in the bathroom with the same design and a deliberate choice was made for a finishing shade of “Off-White” avoiding the starkness of a bright white; “we’ve had many compliments from our neighbours and passers-by, admiring the quality and authenticity of the replacements, and it was nice throughout the winter months to be able to sit comfortably by the windows without the draughts” says Mrs K.
In terms of the installation, the order of replacements was discussed and drawn up into a logical plan, allowing furniture to be moved in advance as required and to move into the spare bedroom during the two day master bedroom installation. The installation team were careful to ensure carpets were protected prior to any work commencing.